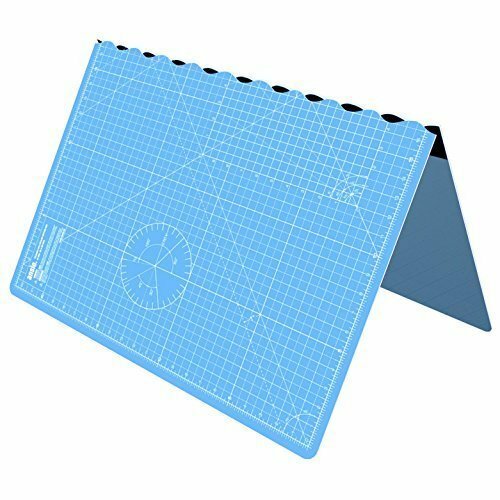 Self- Healing, Foldable Cutting Mat of size 34 inch x 22.5 inch in an attractive Sky Blue colour with extra grip for Non-Slip. Made with PVC material. Clear grid lines with markings for 5 inches, 1 inch, ½ an inch and 1/8 of an inch. Every inch is marked with a line, ½ inch marked with a hashed line. Every 5 inches marked with a thick line. If you have any questions about this product by ANSIO, contact us by completing and submitting the form below. If you are looking for a specif part number, please include it with your message.